Pavement’s packaging for Superba! incorporates retro European design for a lasting impression. 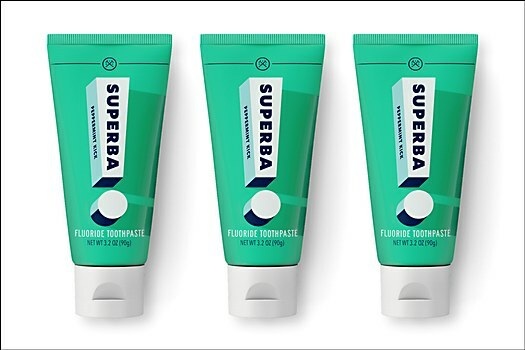 Background: The purpose was to expand Dollar Shave Club’s ever-increasing lineup of men’s personal care products into oral healthcare. It needed to maintain the overall masculine look of the brand’s other personal care product lines, while feeling differentiated and unique at the same time. 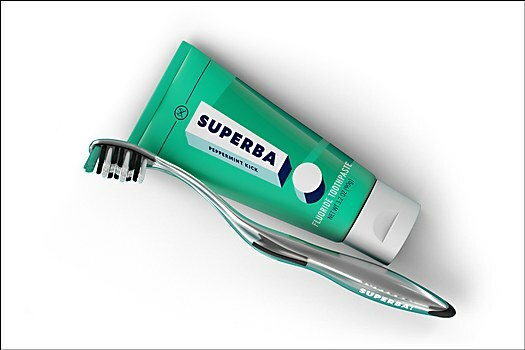 Reasoning: We knew the brand had to be inherently masculine, bold and confident to match the powerful flavors and invigorating sensations of the Superba! products. 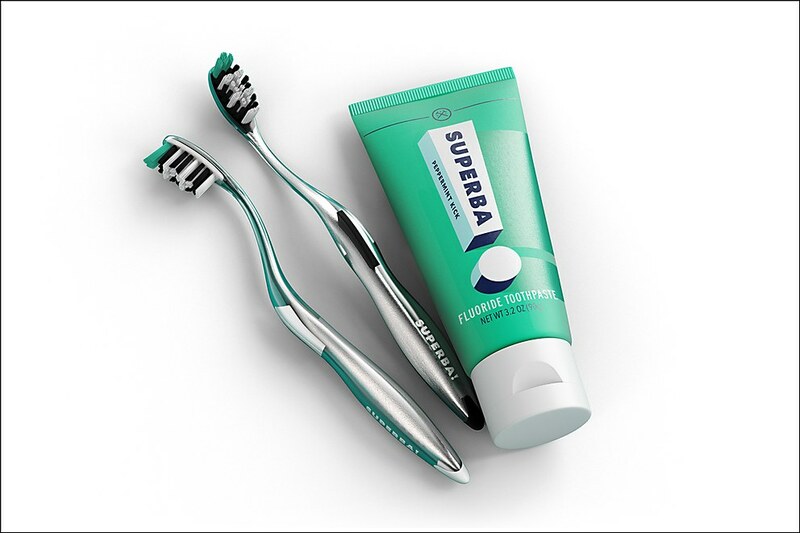 Straightforward graphics and bright colors that emulated the retro European lifestyle were used to create an impactful brand, and the final packaging design leaves a lasting impression that differentiates it from the other Dollar Shave Club product lines. 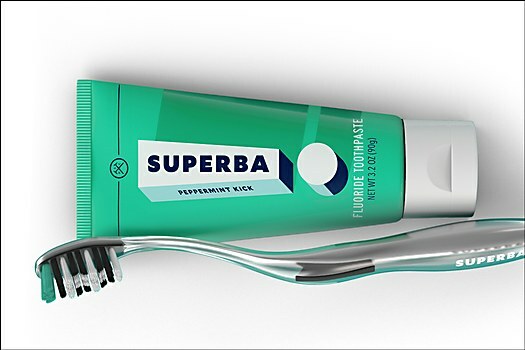 Challenges: The most challenging aspect of this project was creating an impactful brand that worked as well on a toothbrush handle as it did on a tube. While outer secondary cartons were originally part of the solution, the idea was eliminated, so we had to rethink the brand slightly for application solely on the tube. Favorite details: We really love how the shadow of the exclamation point is printed on the tubes. The contrast in the sheen and texture really pulled the look together in a nice way. We also love the color. With such a simple graphic solution, selecting the right color really became critical to the brand's presence. This particular green felt fresh to reflect the nature of the product, but was unique enough to reflect the retro European design direction. Visual influences: The client provided us immensely thought out inspiration boards as part of the briefing process. The references included simple but bold examples of retro European graphics and packaging examples that helped spark creativity. There was an underlying theme of panache and suavity to all of the examples, but all had an inherent masculinity to them. 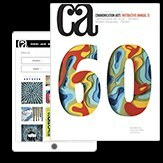 Time constraints: With an abbreviated timeline to create the creative options for presentation, there was no time to second guess or linger on our design choices. Luckily, we were able to instinctively pull from our experience, rather than wasting time on experimentation. 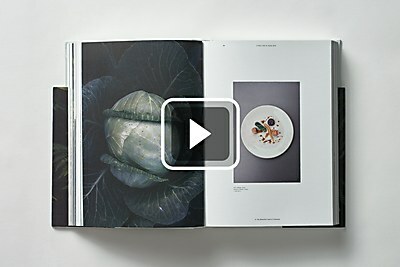 Boy Creative Studio and Sweet Root create an epic photobook that explores Lithuania’s culinary roots. 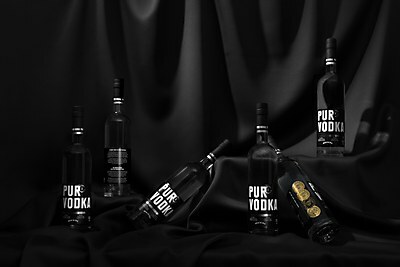 lg2’s identity for Pur Vodka focuses on simplicity and elegance as it integrates into the international market. 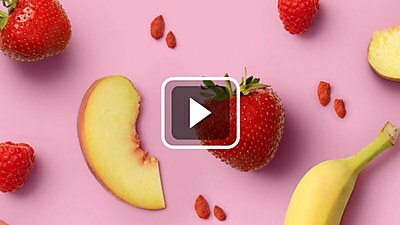 Ragged Edge’s rebrand for Batch Organics delivers a straightforward message about health that stands out from the crowd.